A few years ago, one of my friends excitedly came to me, exclaiming, “You know what? The Prime Minister [of Australia] is following me on Twitter!! !” Back then, Kevin Rudd was the Prime Minister and he was known to be a workaholic. So, if a workaholic Prime Minister decides to follow you on Twitter, it will surely make you feel extremely important right? Imagine the Prime Minister is giving you his attention! My friend was dreaming about the pearls of wisdom that she was going to bestow on the Prime Minister to make a difference forAustralia. Unfortunately for her, I had to snap her out of her dream. “Look!” I said. “You are just one of the hundreds of thousands of people that he’s following!” Immediately, my friend was crestfallen. There goes her dream. Indeed, if you look at the Twitter profiles of highly popular personalities (e.g. those who have at least tens of thousands of followers), you will find that many of them follow a ridiculously large number of people as well (e.g. in the thousands). Some of them follow almost as many people as the number of their followers. Don’t you think this is absurd? How is it possible for anyone to follow thousands of people on Twitter? How on earth can the Prime Minister follow hundreds of thousands? It’s just not possible—the human brain simply cannot do that. In Kevin Rudd’s case, assuming that he followed one person per second with a mouse click, it would take him a combined total of 69 hours of non-stop clicking to follow say, 250,000 people. It seemed that he and/or his staff were spending too much time on Twitter. Since it is absurd, why do many highly popular Twitter personalities do that? You see, one of the most effective ways to gain attention on Twitter is to follow other people aggressively. When you follow someone on Twitter, he/she will most likely receive an email notification. This will lead him/her to check out your Twitter profile and perhaps follow you in return. In fact, there are software programs to automate this process for you. It will follow people on your behalf and check whether they follow you back in return. If these people do not reciprocate, the program will automatically un-follow them for you. Aggressive following (and un-following) can make your Twitter profile very ‘popular’, with the peculiar side-effect of making you follow a ludicrously large number of people as well. 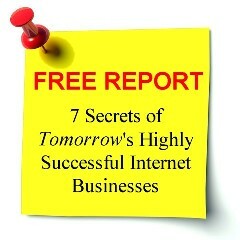 Some Internet marketing gurus call this a “strategy”. But does your Twitter ‘popularity’ equals authority? If not, it’s pointless. What you really want is authority, because it builds your brand. ‘Popularity’ gives you nothing for your business. Finally, take a look at Seth Godin’s Twitter profile. How many people does he follow? ZERO. That’s authority. Posted in Commentaries, Strategy and tagged authority, Seth Godin, social media, Twitter.